All organizations encounter challenges, issues and difficulties everyday including financial shortfalls, downsizing, increased workloads, and succession issues. These challenges force the organization to turn inward and look at itself and its effectiveness. It is a time to regroup and assess where the organization stands. If the organization embeds and nurtures a culture based on mutual trust and where all members of the organization strive to be trustworthy and treat one another with respect and caring, then you have a solid foundation to deal with the challenges and issues you face. But where do you begin? It begins with a focus on people and building/enhancing positive relationships. Most people want to be part of the solution. They would like to have a sense that their ideas are heard, not necessarily accepted, but considered with some action taken. They want to be part of the team, participating, engaging and solving some of the challenges. Inclusive leadership involves followers and teams. 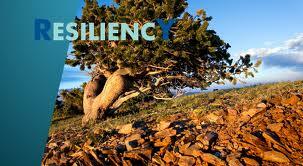 It engages the hearts, minds, and wills so that resiliency is imparted into the work group. When a leader takes the time to connect on a personal basis with followers, it demonstrates care and concern in something more than the task at hand. The investment of time in getting to know others pays off in multiple ways, not the least of which is learning about talents and interests that may lie beneath the surface. In the realm of human resources, the term “high potential” is used to identify those who strategically merit the attention of an organization’s leaders. Talent management is not the only reason to build strategic relationships…clients, key vendors, referral partners all are worth the effort to go deeper, beyond superficial workplace conversations. The types and frequency of interactions are important in preparing a support structure to succeed in the face of challenge. Whenever possible, open up to those with whom you are working to build strategic relationships. Become more vulnerable, let them know what concerns you have, admit when you don’t have a solution and elicit the help of others. Getting into the habit of acting with complete integrity is helpful in setting a good example, establishing an expectation, and creating a culture of trust. When others within the organization (or strategic relationships outside it) offer constructive input, be gracious. Listen, then act on what has been shared and communicate back the outcome(s) of implementing the advised course of action. These leadership practices will enable your organization to withstand challenges through better collaboration and increased resiliency. ← Lead Me – Don’t Manage Me!